A court in Myanmar has rejected an appeal by two reporters of the Reuters news agency, sentenced to seven years in jail for breaking the country’s Official Secrets Act, in a case that rallied press freedom advocates. 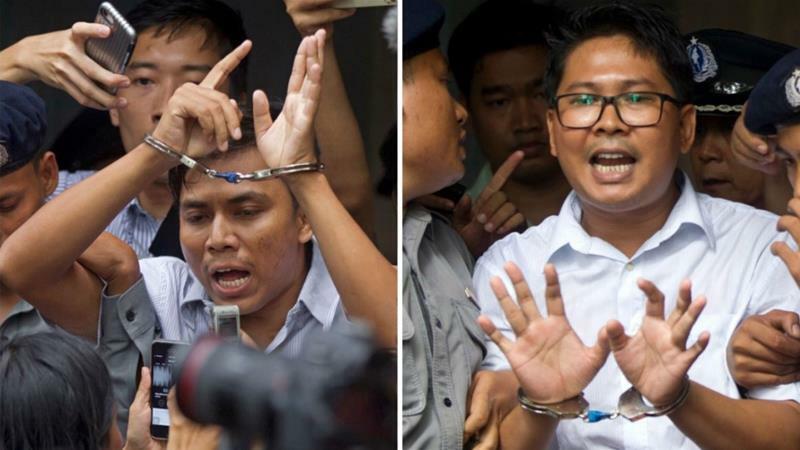 Lawyers for Wa Lone, 32, and Kyaw Soe Oo, 28, had filed the appeal in November against their conviction, citing evidence of a police set-up and lack of proof of a crime. The appeal argued that the original trial was conducted in an “unjust manner” and had called for the reporters’ immediate release. Wa Lone and Kyaw Soe were investigating the 2017 killings of Rohingya when they were arrested. Photo Credit: Image from Al Jazeera article.